Movember involves the renaming of the month of November, allowing self cultivated moustaches to take over the month.Its the ultimate “grow your own” ! The goal of Movember is to “change the face of men’s health.” By increasing early cancer detection, diagnosis and interventions , and ultimately reducing the number of preventable deaths. It’s not obligatory to grow a moustache, but it’s a a bit if fun and a great way to focus on these important issues. Moustache or not, men need to encouraged to go to the doctor if they have any worries or health concerns.They need to be health aware,understand what can go wrong with their bodies the potential impact their lifestyle can have on their health.. 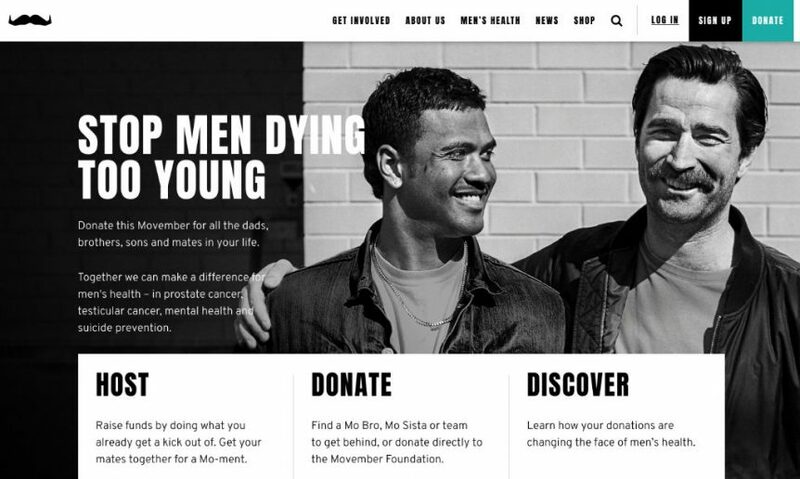 The Movember Foundation charity raises awareness and vital funds for the biggest issues in men’s health: prostate cancer, testicular cancer, and mental health and suicide prevention. Every year 10,000 men die of prostate cancer – one an hour – and suicide is the biggest cause of death in men under 50.The charity says men are facing a health crisis that isn’t talked about, and by 2030 aims to cut the number of men dying prematurely by a quarter. Here at our practice we offer a variety of health checks. They can be tailored to your needs and can normally be completed within an hour,with same day results and referrals.So there’s no need to worry or wait.Get in touch today to get Movember ready! It is important to recognise the health needs of our male patients, from specific screening for conditions such as prostate and testicular cancer, to general health advice on issues such as stress management, diet and exercise. We offer the finest levels of care and support to help men maintain their physical and mental wellbeing.